To better serve their clients and to meet the demand for true artisanal-style butchery in Vancouver, Urban Digs Farm has expanded their territory to include a standalone wholesale butchering facility in the city called the Beasty Shop. 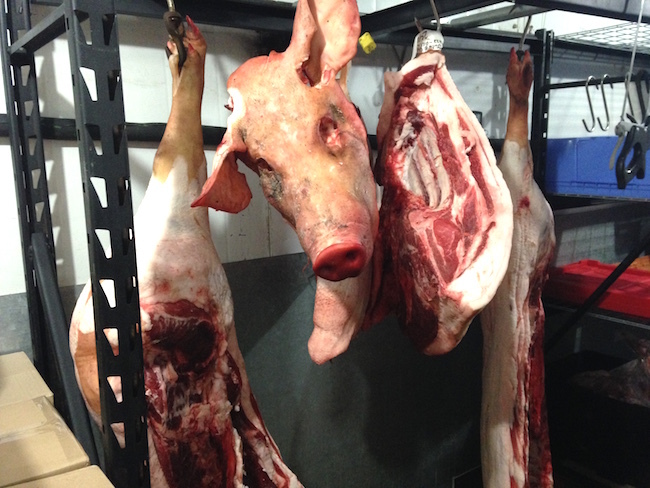 Located in South Vancouver, the industrial park butchery is meeting the food industry’s rising need for a place where pigs are broken down thoughtfully and prepared into cuts for restaurants and home cooks alike. 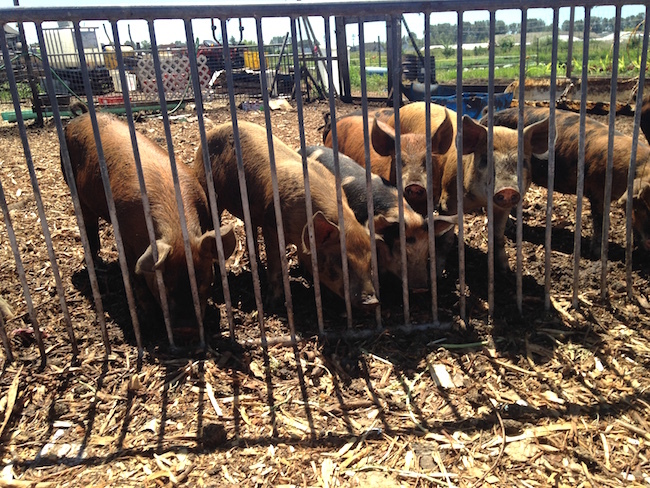 Urban Digs already has a number of options of interacting with the public and their clients, including at the Burnaby farm itself, which is open weekends for a peek at the pigs and plantings, and to purchase fresh produce, canned goods, and other UD merchandise. Customers can also subscribe to the Urban Digs CSA (Community-Supported Agriculture) produce service, or the Beasty Box, which is a selection of meats from small-scale producers. Now meat consumers can add the Vancouver butchery as a pick-up spot for online orders of various cuts of Heritage Pork and more. Urban Digs partner Julia Smith explains that they opened the new facility because she encountered a backlog in the local industry, since small-scale artisanal butchery is so rare. “I couldn’t get my pigs cut,” she remarks while hosting a tour of the space. Smith says they’ve launched with a roster of pigs coming in from other farms so far, since there is “no competition” to drive those colleagues elsewhere. 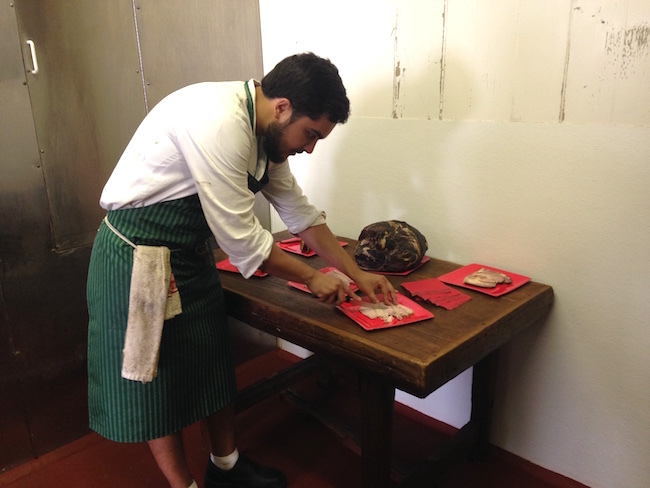 Doing the cutting and other parts of the process is butcher Felipe Carballo, whose passion for his job is easy to see as he points to a table showcasing a variety of smoked meats, like Irish Bacon and a whole ham, and later in the chilly cold storage, where sausages chill out across the aisle from a pig head. The farm’s pig enterprise already has a keen eye on sustainability and conscious practices; they feed the animals spent grain from local breweries and donated produce (the sweetness from the various fruits the pigs eat can be detected in the pork), and now at the butchering facility, there is no waste whatsoever–as Smith points out, there is no refractory bin on site at all. Now Vancouverites have another way to access the “more better” meat from Urban Digs, thanks to the Beasty Shop. The Beasty Shop is located at 9247 Shaughnessy Street in Vancouver. For online ordering, visit Urban Digs Farm’s Web Store.